“Your smile is as unique as a fingerprint that everyone can see,” Dr. Grossman explains. LOS ANGELES, CA, UNITED STATES, July 10, 2018 /EINPresswire.com/ -- Dr. Jay Grossman, celebrity dentist and founder of Homeless Not Toothless, a non-profit organization that provides free and quality dental care to the homeless, foster youth, and low-income persons in the greater Los Angeles area, reveals 10 amazing facts about teeth. 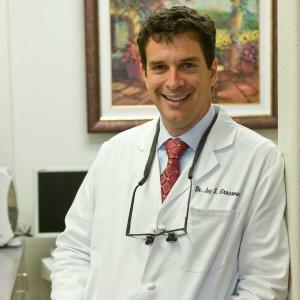 As an esteemed dental specialist, Dr. Grossman provides expert general, surgical, cosmetic, and restorative dentistry, as well as being one of the very few Invisalign Elite Preferred Providers in the world. 1. The enamel on the top surface on your tooth is the hardest part of your entire body. 2. Teeth start to form even before you are born—milk teeth or baby teeth start to form when the baby is in the womb, but they come through when the child is between 6-12 months old. 3. Your mouth produces over 25,000 quarts of saliva in a lifetime—that’s enough to fill two swimming pools. Saliva has many uses, including assisting you with your digestion and protects your teeth from bacteria in your mouth. 4. An average person spends 38.5 days brushing their teeth over their lifetime. 5. Many diseases are linked to your oral health, including heart disease, osteoporosis, and diabetes. 6. One third of your tooth is underneath your gums—that means only two thirds of your tooth’s length is visible. 7. The average American spends 38.5 total days brushing their teeth over a lifetime. 8. If you don’t floss, you miss cleaning 40% of your tooth surfaces. Make sure you brush and floss twice a day! 9. The average person only brushes for 45 to 70 seconds a day, the recommended amount of time is 2-3 minutes. 10. The first toothbrushes were tree twigs. Chewing on the tips of the twigs spread out the fibers, which were then used to clean the teeth.